Hey Lovelies! I am Casey from a Topsy Turvy Blog. Today I am going to be rambling to you all about a season I personally love – Autumn. What’s not to love about Autumn? The beautiful jewel colours, falling leaves, Halloween, Thanksgiving and everything Pumpkin! This post is going to be all about Autumn beauty – enjoy! When it comes to Autumn beauty and fashion, there's a few colours that are in year after year, and no one can go wrong wearing them. -Red-- This can be a classic red or an Oxblood colour. I'm a big fan of Oxblood coloured clothes. -Purple- I love purple, and wearing Eggpland or Aubergine colours in your clothing or on your nails will keep you in season. -Dark Blue and Grey colours are also great for the season. Try a blue or grey smokey eye for a night time look. Autumn is a time to makeover your makeup, and skincare – Here’s a few essentials that I'll be using throughout this season (and many follow through onto Winter). 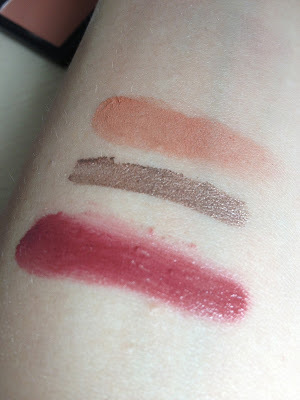 Korres Lip Butter in Plum £8 – This is an all-time favourite product of mine. Korres have such a great range of colour for all the season, and plum is a perfect colour for the Autumn season (or you could use Wild Rose). This lip butter melts onto your lips leaving a sheer plum colour on your lips. It’s non sticky, but very moisturising. If you don't like putting your fingers in lip products, you can buy these in stick forms (which are cheaper) than the tubs. This lovely product is £8 – which for a lip balm with a sheer colour makes it well worth the money – and great at keeping chapped lips at bay. Accessorize eyeshadow palette in exposed £8 – A perfect palate for this seasons eye styles. Smokey eye, cranberry red, bronzed eyes this palette has everything. 32 shades from matte to full on shimmer. I use this throughout the year. Recently I've been sticking to using the red cranberry colour in the crease and it makes the best daytime eye look. The top eye trends are red, orange, plum, grey cat eyes and smokey eye. This palette can create all of these perfect Autumn looks. Nars Blush in Sin £21 - Plum/purple colour is in season every year, so Sin by NARS is must have. You can use it as a blush as well as an eye shadow. This is a blush for fair - medium skin tones. It doesn't look dirty on the skin or like you have a bruise. It lasts all day on me, and will be a staple throughout Autumn and Winter. Emma Hardie Cleansing Balm £34 (100ml) - During the winter, our skin types can change and may become drier, which is why it's good to switch to an oil based cleanser to stop your skin from drying out. I found this to be too heavy on my skin during summer, but I knew as soon as the colder months came rolling round this would be used all the time. It does have a strong scent, so you may not like it. You could also try a cleansing gel or cream - I stay away from Bioderma as it's too drying. Dry skin is lack of oil, so an oil based cleanser is best. Elizabeth Arden 8 Hour Intensive Moisturising Hand Treatment £15 - This is my all time favourite hand cream. I love the gel consistency as it isn't as thick as the L'Occitane alternative. It sinks into your skin really quickly, and it just as great as the entire Elizabeth Arden 8 Hour range. My sister and Mother both have Eczema on their hands, and I'm worried about getting it so I use this roughly 8 times a day and so far my hands have stayed so soft and free of dry skin - Definitely a autumn/winter staple. Clinique All About Eyes Serum £20 (15ml) - If you're a student, mother or worker we all lose sleep. I work 7am-11pm some nights, and with a 9 month old my eyes need all the help they can get. I love this serum, and using this with my Clinique Supermoisture Eye Gel and Michael Todd Eye Cream my eyes have so far been saved puffy, baggy and dark circles. I use this serum day and night, though you can use it whenever needed (it's also great for hay fever or allergies). I've tried Origins No Puffery and I think this is 100 times better. You don't need to spend a lot of money on transforming your make up bag to Autmun and Winter, here's a few capsule. budget products that will transform your make up bag without using all our pocket money! Sleek Single Blusher in Suede £4.99 - Suede is a beautiful dusky orange blush that's perfect for Autumn. I loved peachy/orange colours during Summer, and this blush is more of an orange Autumn colour. It has amazing pigmentations and lasts a good 6 hours on my skin. It wears off your skin really well, and goes perfectly with the two other budget items - You could also try the colour Pomegranate - A lovely berry purple blush (though I personally feel that's more of a winter colour. It's a perfect shade for a 'frost bitten cheek' shade). Sleek Pout Polish in Perfect Plum £4.99 - This is heaven in a little tub! Well, not so little. It's so amazingly pigmented! Tinted? Ha! I don't think it's a Tinted anything. This is more like a conditioning liquid lipstick - the only thing is it looks more glossy than a liquid lipstick would be. You can apply this so it's more sheer, but when you pack it on it looks so beautiful and I loved using it last year, and will continue to love it this Autumn. It has SPF15 in it which is great! Even though it's Autumn and the sun isn't always out, don't forget SPF. Rimmel's Scandal Eyeshadow Paint in Rich Russet £4.50 - I've been using this ever since It's came out, and I think it'll be great for Autumn. Smokey eyes are in this Autumn and with the shade range being brown, grey, purple and blue you can find the perfect shade to create an amazing smokey eye. These are so easy to use, and what's best is they don't budge or crease! What else could you want? Exfoliate your skin and Cleanse - Exfoliating will help your foundation go on smoother, and will remove all the dead skin cells. It helps you have a deeper cleanse as well and it makes your moisturiser soak in quicker. Keep your immune system up - Eat well and drink lots of water. With the weather changes, you need to keep up with your vitamin c and fluid intake. Autumn is the time to pamper your skin and sort out all of damage of winter. Too much alcohol? Late nights? Sun, sun, sun? Now is the time to sort your skin out and treat it well before the winter kicks in. Be safe - Halloween and Bonfire night can be dangerous - Look after yourself, and your friends. Most of all, have fun! This season is a time to come home and snuggle in front of the tv and a fire - be with your friends and family. It's such a cosy season and I'm a sucker for being cosy. 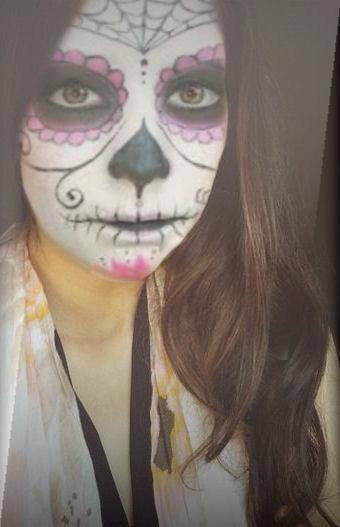 And, a (very) early Happy Halloween! Hope you enjoyed the post! If you like it, don't forget to pop over to my blog and say Hello! 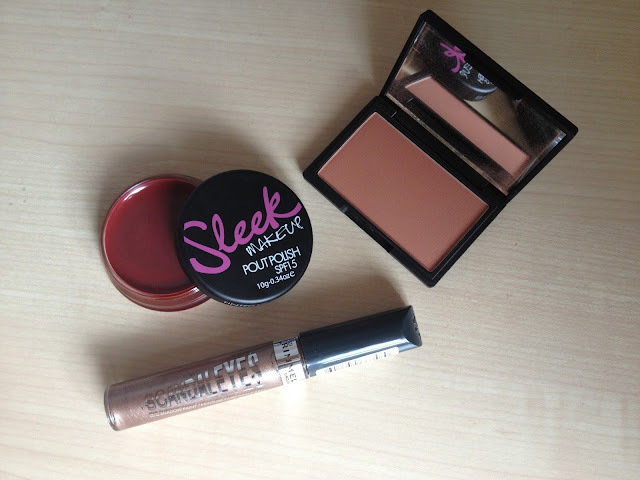 Thanks Casey for a fab post all about some fab products and tips for Autumn! Make sure to check out Casey's blog!